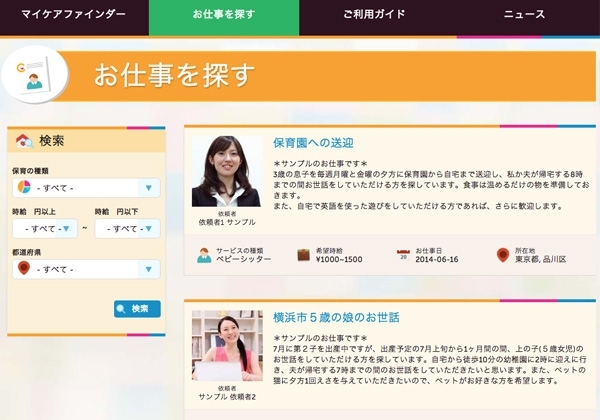 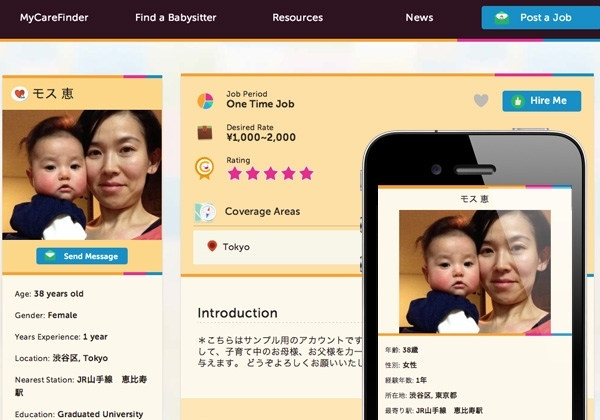 CareFinder addresses the increasing number of families in Japan in need of domestic support, whether it be babysitting, housekeeping, or other services. 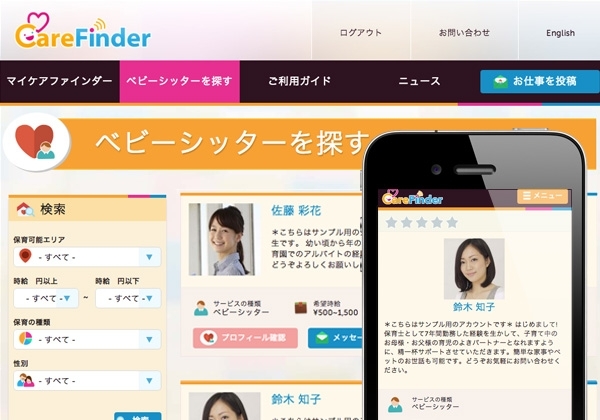 Rain created the online identity, visual design and developed an online match making web application for desktop, tablet and smartphone. 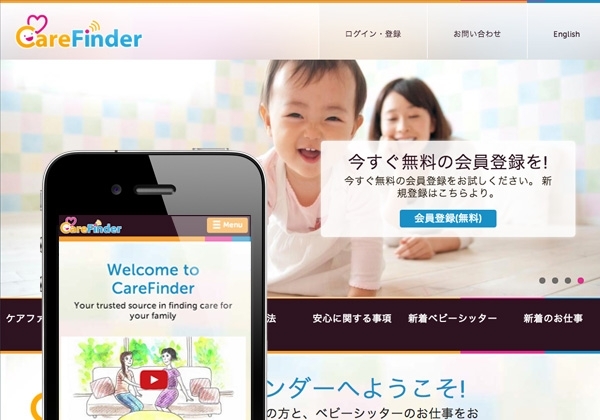 A multi-language system users sign up either as a CareFinder or CareGiver, with each role providing a different user set of features enabling them to find or offer care to other users. 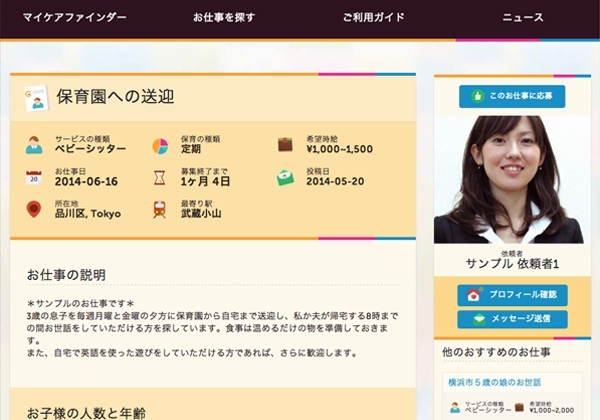 Through their own personal dashboard users can post, review and accepts jobs, send messages and manage their services. 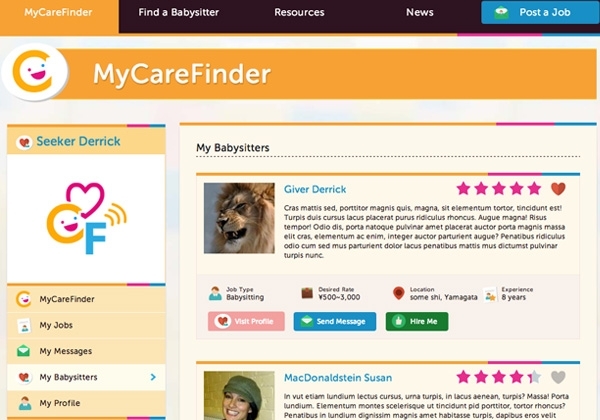 CareFinder is also backed by the Drupal opensource CMS allowing easy system management for CareFinder administrators.